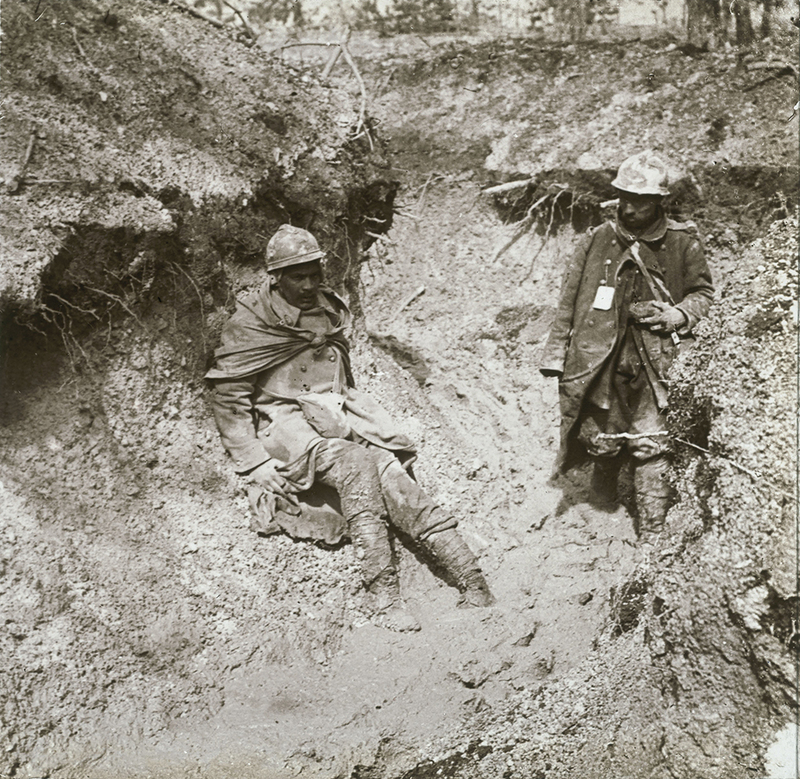 With over 300,000 French soldiers who died in the fighting between August and October 1914, the Great War proved to be a deadly conflict right from the beginning. 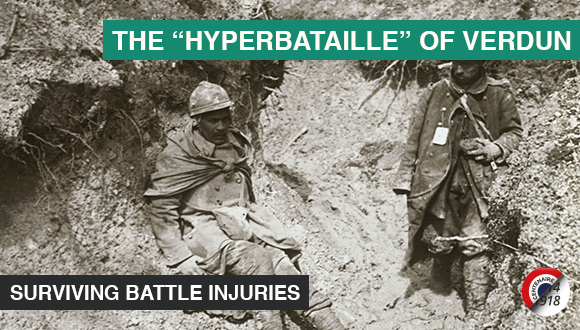 The increasing number of casualties almost led to a sanitary disaster as French Medical Service of the Army proved to be too poorly equipped to deal with this new type of deadly warfare. 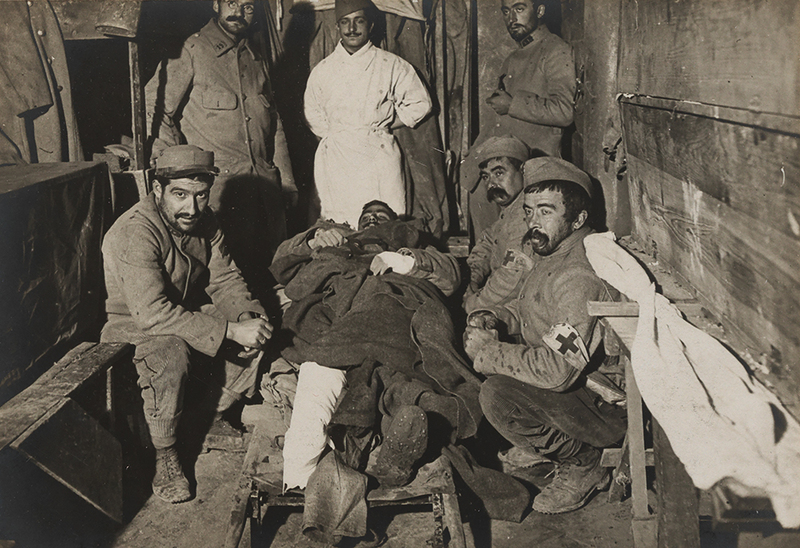 However, as early as September 1914, the Service introduced the «triage médico chirurgical» a method referred to as triage in English and by which the treatment of each casualty was processed in a first aid station according to the soldier’s medical condition. Nowadays, this system referred to as prehospital triage is still applied in France in case of a disaster. During the Battle of Verdun, the hundreds of thousands of wounded soldiers could only rely on themselves or on their comrades who risked their own lives to reach by whatever means the first aid station situated in or close behind the front lines prior to being redirected to the «hôpitaux de l’arrière», the equivalent to the BEF Advanced Dressing Stations. Although first aid stations were not equipped to provide surgical treatment, it was there that casualties received first aid treatments. These stations were rudimentary and often in poor sanitary conditions. They were destined to provide first aid or primary care between the front line and the home front. Despite the immense self-sacrifice of the medical staff that did their best to alleviate the soldiers’ suffering by providing camphor oil compresses and morphine injection to ease the pain and the suffering, the first aid station was often a place where the soldiers died after a long agony… Once the soldiers had received first aid treatment, they were removed to an Advanced Dressing Station. The stretcher-bearers evacuated casualties at night to avoid shellfire along the route of evacuation from the trenches to the ADS. 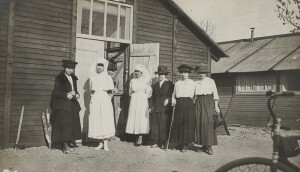 Once treated at a Dressing Station, injured soldiers would be moved rearward to a «Hôpital d’Orientation et d’Evacuation», the equivalent to a BEF Casualty Clearing Station, in a horse drawn wagon, a lorry or a motor ambulance that the French called an «Ambulance divisionnaire».